Lets take a look at the best hair dryers that also come with the comb attachment which allow you to do both at the same time. 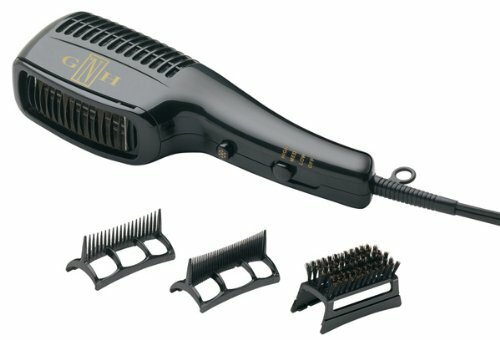 Some of these hair brush blow dryers have a very unique look to them so don’t dismiss them from just looks alone because we’re are going for results here on how it makes you look not how the item itself looks. There aren’t very many brands that make these (at the time of typing this anyways) but the ones that do are some of the leaders in hair drying technology. You’ll see me list different types of technology for these product so if your unsure of certain technology for dryers then this post may help you. You can’t mention hair dryer without Conair following up close by in that conversation. I was not surprised by how good this dryer worked just because that is what I’ve come to expect from Conair. 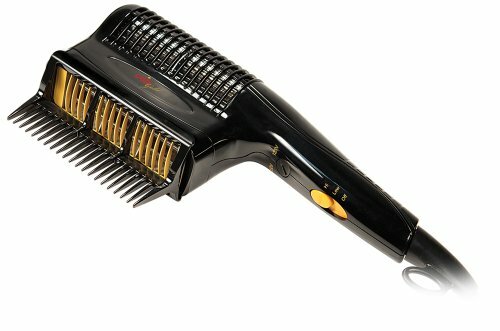 It does a great job of drying my hair quickly and the comb attachments work perfectly. The attachments snap on easily and stay on snug so no issues of them coming off when fixing your hair. Works great on thick hair and it has a good weight to it so that it doesn’t make your arm tired. 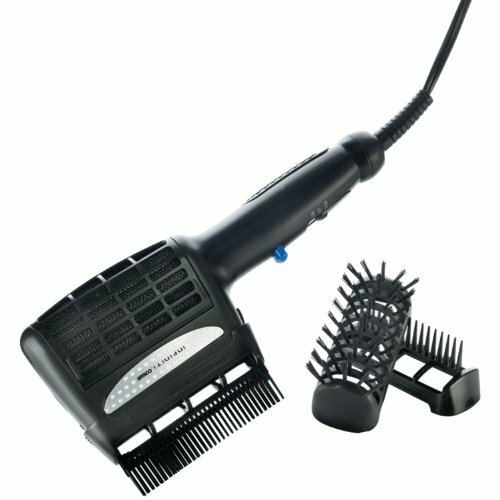 Excellent dryer and even more impressive styling tool. 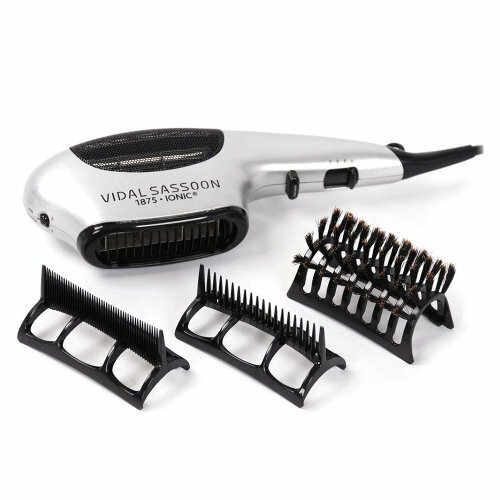 The variety of the attachments makes this work for many hair types or possible hair styles that you may try. Drys my hair about the same speed as the Conair mentioned above. 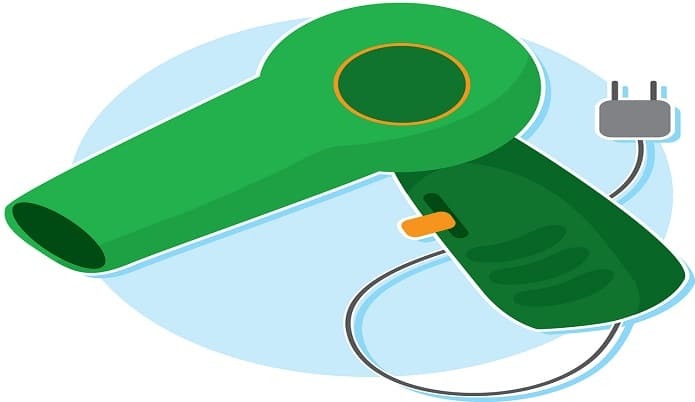 Similar to the ones mentioned above in terms of drying power and even weighs a little less. Had no issues with attaching the comb attachments or having them comb off when using it. Gave this one to my sister to use who has thicker hair but more curly and she loves this one (not sure if she has tried any others). This hair dryer leaves my hair looking really good and even though I don’t use 2 of the 3 comb attachments its still a good variety to have. Even though it takes a little bit longer to dry my hair than some of the other I feel that it evens out well for out it leaves my hair looking. Like I mentioned there isn’t a huge variety to choose from as far as blow dryers with comb attachments go but I’m pretty sure one of these 4 should do the trick for you.